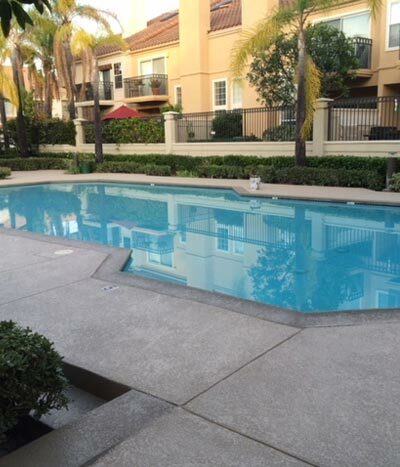 Tuff Kote Systems is the leading choice for deck coating and waterproofing services in Orange County and the greater Los Angeles area. Our knowledge and excellence of craftsmanship is unmatched in the field, and we offer Orange the best value around in terms of competitive pricing. 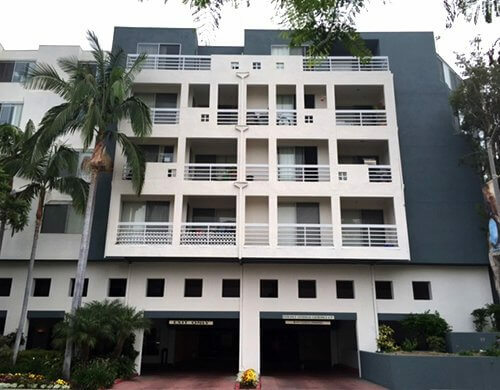 Our company was established in 1986, and since that time we have provided our comprehensive coating and waterproofing services for thousands of satisfied residential and commercial clients throughout our service area. Our skilled craftsmen observe the highest standards of professionalism while on the jobsite at your home or business, and we install only premium quality coating and waterproofing systems for all of our projects. Deck repair, restoration, and maintenance services. Decorative/textured finishes for interior floors and hardscape surfaces such as patios, driveways, walkways, and pool decks. Contact the deck coating and waterproofing specialists at Tuff Kote Systems today, Orange. 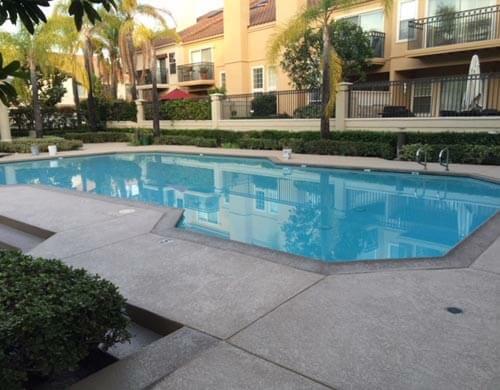 We provide estimates to all of Orange County and the greater Los Angeles region. Tuff Kote Systems is licensed, bonded, and insured. At Tuff Kote Systems, we are an approved installer for many top brand name deck coating systems in the industry, and can give your Orange home or business's deck, balcony, stairway, or elevated walkway an attractive new appearance by installing our premium quality deck coating systems. We can install our deck coating systems over damaged, worn, or weathered surfaces, and can also apply them over deck surfaces which have been previously coated. Our deck coating systems are available in a wide array of colors, patterns, and textures, and are backed by excellent warranties. They are slip resistant, and will provide added safety against slips and falls for your family, guest, patrons, or employees. Moreover, our deck coatings are ADA (Americans with Disabilities Act) compliant, and have a Class A rating for fire safety. 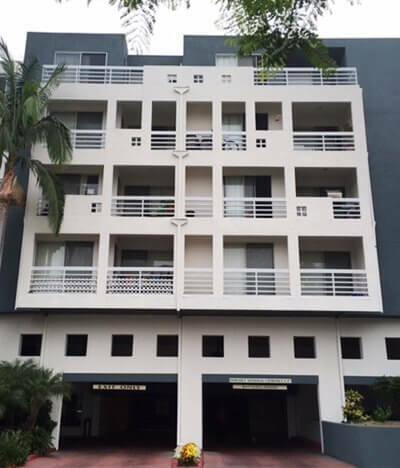 At Tuff Kote Systems, we are experts at diagnosing and resolving below grade and above grade moisture problems for our valued residential and commercial clients in Orange, and have over 25 years of experience working in the waterproofing industry. In conjunction with our general contracting division, General Contracting Group, we provide comprehensive waterproofing services for both above grade and below grade surfaces. We can waterproof roofs, decks, elevated walkways, and balconies, protecting them from damage due to leaks. We also waterproof hardscape elements such as pool decks, driveways, planter boxes, courtyards, ponds, pool decks, and ponds, sealing them against staining and soiling. In addition, we also waterproof vital below grade supporting structural components. We can waterproof foundation and retaining walls, concrete foundation slabs, and footings, and prevent or remediate such issues as water seepage and vapor transmission which can lead to serious corrosive damage in these structures such as concrete spalling, reinforcing steel corrosion, and the development of cracks in the structure due to settlement. But this is only the beginning of the damage below grade moisture problems can produce, as this moisture often leads to the growth of mold and mildew which spreads upwards into the building's envelope, damaging the building's structure and potentially causing major air quality concerns for the building's occupants. Depend upon Tuff Kote Systems for expert above and below grade waterproofing services. Contact us today. Today's concrete stains and dyes are available in a wide selection of colors, and can be applied in a number of ways in order to achieve a variety of design effects. What's more, concrete staining is very affordable, so there is no reason to settle for plain, dull gray concrete hardscape surfaces at your Orange home or business anymore. Because of its porous nature, concrete makes an excellent canvas for stains and dyes. When applied, concrete stains and dyes penetrate deeply into the surface of the concrete, becoming a permanent part of its structure which will never peel, fade, or chip. Concrete stains can be applied to interior and exterior floors, and hardscape elements such as driveways, walkways, pool decks, planter boxes, and patios, and will last throughout the lifetime of these hardscape components. 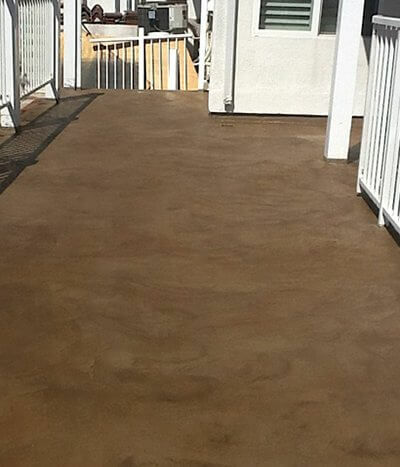 Contact Tuff Kote Systems today, for exceptional quality concrete staining design and application at very competitive prices. Tuff Kote Systems is licensed, bonded, and insured. At Tuff Kote Systems, our beautiful and durable decorative finishes are the ideal solution for revitalizing weathered, worn, or damaged Orange pool decks, driveways, and interior and exterior floors. They are easy to maintain, because they are mold, mildew, and stain resistant. 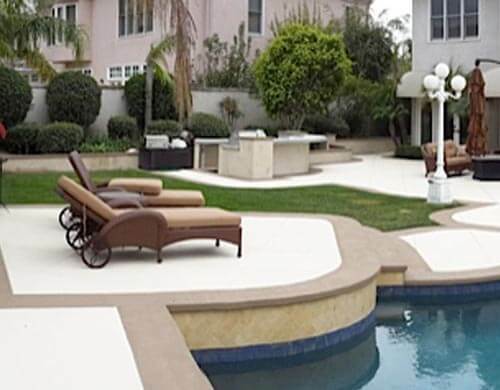 In addition, they are formulated to be stronger than conventional concrete, and provide a long-lasting, protective finish which strengthens the structural integrity of pool decks, driveways, and interior and exterior flooring systems while at the same time, transforming them into a striking architectural accent. California's Title 24 Energy Efficiency Standards require roofing systems installed over certain conditioned commercial and industrial spaces to meet specified solar reflectance (SR) and thermal emittance (TE) standards. These standards are commonly referred to as "cool roof" standards, because they concern a roofing system's ability to deflect the sun's heat. Solar reflectance (SR) is a measure of a roofing system's ability to reflect the rays of the sun, and thermal emittance (TE) is a measure of a roofing system's ability to emit, or give off the heat from the sun that it does absorb. In conjunction, these properties enable a roofing system to absorb and retain less heat. And this process is important, because the longer a roof retains the heat that it has absorbed from the sun, the more opportunity this heat has to travel downward through the roof's various layers, and eventually enter the building's conditioned space. Once there, this heat complicates cooling efforts, because more energy must now be used to cool the structure. And naturally, this results in higher energy bills for the building's owner. At Tuff Kote Systems, our Title 24 compliant roof coatings will help to alleviate this problem, providing Orange business owners with significant savings on their warm weather cooling bills. Call us today to schedule an estimate. Tuff Kote Systems provides comprehensive deck restoration, maintenance, and repair services to Orange homes and businesses, in conjunction with our general contracting division, General Contracting Group. We perform expert deck repair services, and can repair or replace damaged deck members, replace damaged flashing and sheathing, and also recoat the deck if needed. We can repair cracks in the deck's surface, resolve deck drainage problems, and repair termite and dry rot damage. We can perform roof and ceiling repairs for roof top decks which have suffered leakage into the underlying structure. And as a part of our comprehensive restoration services, we patch and paint all stucco damaged during the course of our repairs, as well as replace damaged siding as necessary. In addition, we also provide deck cleaning services, which are vital to the long-term health and condition of Orange residential and commercial decks. 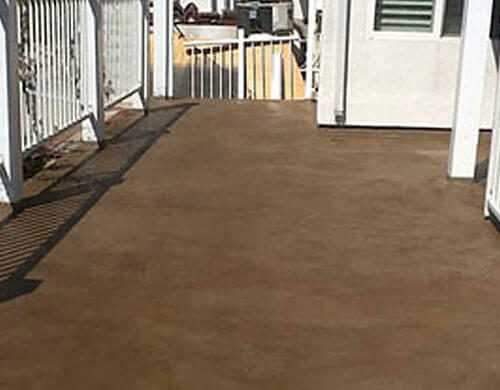 During our over 25 years in business, Tuff Kote Systems has provided our exceptional quality deck coating and waterproofing systems to thousands of satisfied residential and commercial clients throughout Orange County and greater Los Angeles region. We provide estimates to Orange and throughout our service area, and accept Visa, Mastercard, American Express, and checks. Tuff Kote Systems is licensed, bonded, and insured.